The International Tube Trade Fair will be held in Düsseldorf, Germany from April 7-11, 2014. 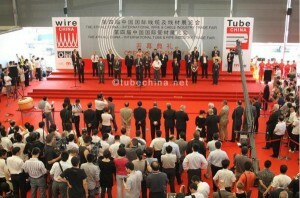 A PTF Plastic Tube Forum will be set up for the first time, announces the organizer, Messe Düsseldorf. Held every two years, latest technologies and applications, machinery and equipment for producing pipes and tubing in composite materials and plastics will be presented. Set up for the first time will be the PTF Plastic Tube Forum, a special show where everything revolves around plastic tubes and their versatile applications. The plastic tubing market, in particular, faces major challenges in energy and environmental technology, says the organizer. Plastic tubes boast extremely long service life, virtually unlimited uses and versatility. Plastic tubes are used just about everywhere, be it in gas or drinking water supply, in heating and sanitation systems, in the chemical or pharmaceutical industries, geo-chemistry or the automotive industry.